Editor's note: Atal Bihari Vajpayee, one of the shrewdest politicians of India, is known for negotiating multiple paradoxes: from militant nationalism to his secret family life; his stint as a communist; his indulgence in food; and his attempt to project himself as a moderate, if not a liberal. Exploring crucial milestones of Vajpayee’s career and his traits as a seasoned politician, a new biography — 'The Untold Vajpayee: Politician and Paradox' by Ullekh NP (published by Penguin Books India) — looks at his relationship with leaders of his party and his love–hate association with the RSS and its feeder organisations. 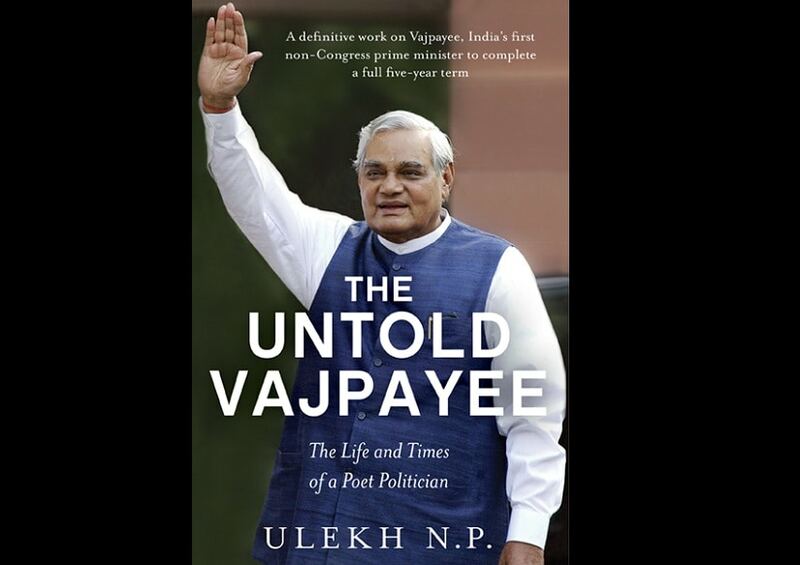 Thoroughly researched, supported by hard facts and accompanied by inside stories and anecdotes, insightful interviews and archival photographs, The Untold Vajpayee will open a window to the life and times of a poet-politician. On 27 February 2002, a group of people from a Muslim populated area of Godhra had set fire to a few bogies of a train — the Sabarmati Express — which carried pilgrims from Ayodhya, a town considered holy by the Hindus. Massive riots broke out, mostly targeting Muslims, for nearly a week. All the killing and pillaging in Gujarat had given Vajpayee a bad name, the more so because Gujarat had a BJP government in place, with a chief minister who had reportedly not risen enough to the occasion to rein in the violence. Vajpayee was blamed for his failure as PM to get rid of Chief Minister Narendra Modi, who reportedly shouted back at a Muslim leader on the phone for seeking help after a mob had gathered outside his house. Some hours later, the Muslim leader was lynched, and Modi is alleged to have asked the police forces to let the violence continue. At that moment, Modi seemed to be the villain who brought a lot of shame to the central government. Three days before his foreign tour in April, when Vajpayee visited the Shah Alam camp in Ahmedabad, which housed 9,000 Muslims displaced by the riots, he was deeply touched when a woman told him that he alone could save them from the hell that their lives had become. Now, on the flight to Singapore, Vajpayee was worried he would expose himself to more humiliation while outside the country. His grouse was: why am I being paraded abroad at such a time? Shourie suggested that the PM speak to Advani, who had by now become the deputy prime minister, about the possibilities of salvaging the situation — it could even mean replacing Modi. But even after the ‘pep talk’ with Shourie, Vajpayee appeared cheerless. He told Shourie that he would speak to Advani about it. Vajpayee paused and rubbed his forehead... before answering, betraying a level of discomfiture in answering questions related to the Gujarat riots. 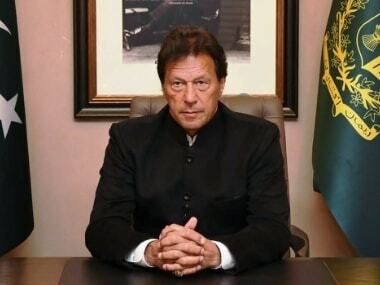 Then, weighing his words, he said, ‘Whatever happened in India was very unfortunate. The riots have been brought under control. If at the Godhra station, the passengers of the Sabarmati Express had not been burnt alive, then perhaps the Gujarat tragedy could have been averted. It is clear there was some conspiracy behind this incident. It is also a matter of concern that there was no prior intelligence available on this conspiracy. Alertness is essential in a democracy. We have been cautious. 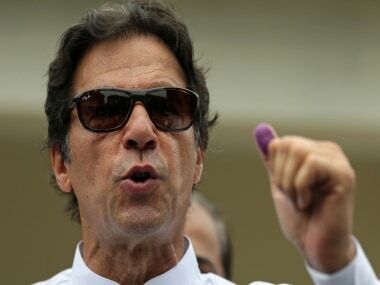 And if one does not ignore even small incidents like one used to in the past, then one will certainly be successful in fighting terrorism.’ Clearly, he was on the defensive, and the issue worried him no end. Before the delegation left for Cambodia that day, Shourie asked Vajpayee whether he had a chat with Advani. The prime minister looked distraught, but answered that he had not yet had a word on the matter with Advani, Modi’s mentor. On the same day, 9 April, Vajpayee met the Cambodian prime minister, Hun Sen, and other officials. He also made ceremonial speeches at Phnom Penh. Over the next two days, the prime minister signed various pacts with his Cambodian counterpart, and announced that India would offer 10,000 tonnes of rice for distribution among the people of Cambodia, especially among the flood-hit. He also visited the famous Angkor Wat temple, where Shourie again found Vajpayee to be distracted and lost in thought. He asked Vajpayee again if he had spoken with Advani, and he answered in the negative. The Indian delegation led by Vajpayee returned on 11 April. The next day, senior BJP leaders were to attend a national executive meet in Goa. Shourie went home and took a shower. He was reading a book when he got a call from Brajesh Mishra asking if he had booked tickets to Goa. Shourie said he had. ‘Please cancel them. You are going with the PM and the deputy PM in the PM’s aircraft,’ Mishra said, emphasising that if he didn’t go, both Vajpayee and Advani would not talk if they were left alone in a plane. When Shourie boarded the plane, Vajpayee was already there, seated next to the window, and facing him, across a table, on a window seat was Advani. The external affairs minister, Jaswant Singh, was also there. The plane took off and after a few minutes, Vajpayee took a newspaper from the table in front of him and opened it so widely that he didn’t have to face Advani at all. 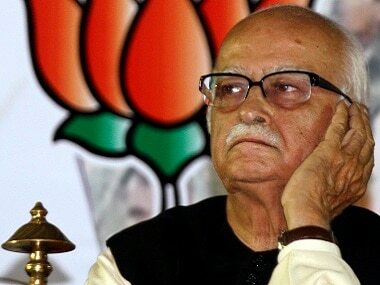 A little while later, Advani also picked up a newspaper and began to read. Shourie and Singh looked at each other and sighed. Then Shourie surprised himself. He pulled the newspaper out of Vajpayee’s hands and interjected, ‘Vajpayeeji, newspapers can be read later also. Why don’t you tell Advaniji what you wanted to tell him?’ Vajpayee kept the newspapers away, and muttered in his usual style about what had to be done. First, Venkaiah Naidu would replace Jana Krishnamurthi as BJP president. Then he said, ‘Modi has to go.’ By the time they landed in Goa, the decision was taken: Modi would go. Eight months earlier, in late September 2001, amid massive political infighting, it was decided that Modi would replace Keshubhai Patel as chief minister of Gujarat. On 1 October, Vajpayee asked Modi to meet him in Delhi, where Modi had lived for the previous three years. Modi had put on weight from the last time they had met. Vajpayee joked about too much ‘Punjabi food’ and then got to business. 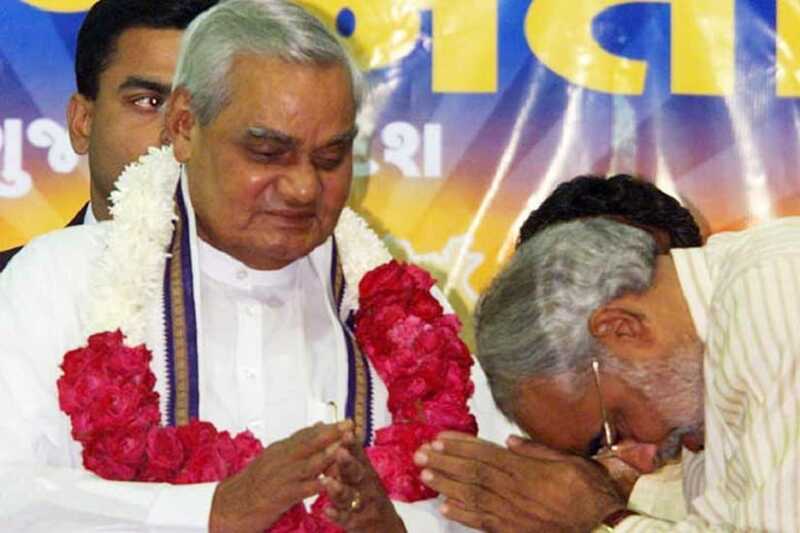 Modi had to go to Gujarat as CM to prepare the state for the next elections due in 2002, Vajpayee said. Modi’s immediate answer was a ‘no’. 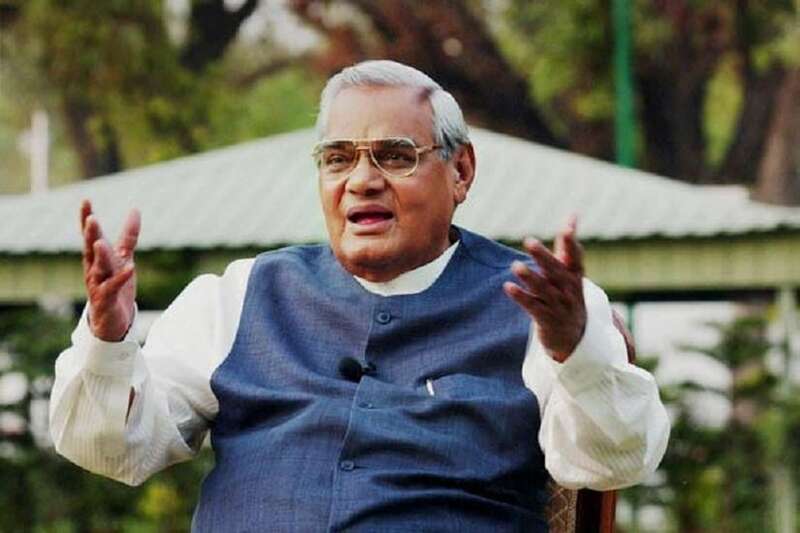 Vajpayee insisted, because the Keshubhai Patel administration had incurred public wrath over not doing enough for the people of the state after the 2001 earthquake. Some members of the government were in cahoots with unscrupulous builders indulging in shoddy construction. Some of them enjoyed Patel’s patronage. 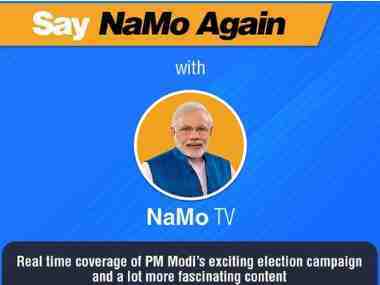 At Panjim in April 2002, the national executive meet began, and a short while later, Modi took to the dais and said he would like to step down as chief minister over the riots. Immediately, people from several sides got up and said there was no need to do so. Whether it was orchestrated or not, Shourie wasn’t sure. But, according to him, Vajpayee felt that it was a coup. Sensing that things were not going as planned, Shourie got up and described what had gone on between Advani and Vajpayee on the plane and the agreement they had reached thereafter. But shouts kept emerging from the delegates: ‘It cannot be done! Modi cannot be allowed to go!’ Vajpayee immediately understood the situation, and said, ‘Let’s decide on it later.’ ‘It can’t be decided later, it has to be decided now,’ somebody shouted. And as if on cue, it became a slogan. Shourie observed that Advani hadn’t said anything though he knew very well that Vajpayee wanted Modi out. Seeing things take a different turn, Vajpayee kept mum, opting against a confrontational stance. Perhaps, for all his bravery, he was worried about younger leaders publicly questioning his authority. He would never forget that humiliation.